Hot on the heels of their deceptive “Dirty Secrets of Electric Cars” video (which we debunked thoroughly, and others did too), Fueling U.S. Forward has released a new video that criticizes EV tax credits as a “massive wealth transfer from poor to rich.” It’s time for another debunking! There aren’t as many overt errors and falsehoods in this video as in their inaugural effort. (Maybe they learned their lesson when they let slide the blatant error that cobalt and lithium were rare earth metals.) Even so, this video presents some awfully misleading arguments against EV tax credits. Let’s take a closer look. That 90 percent figure cited in the advertorial and the new video refers to a 2015 paper by Severin Borenstein and Lucas Davis, two researchers at UC-Berkeley. That paper examined clean energy tax credits of all sorts, from the period of 2006 through 2012. The authors did indeed find that, as of 2012, the top income quintile had received 90 percent of the EV tax credits. Important to note, however, is that during the time period studied by Borenstein and Davis, there were only three plug-in electric models widely available to American drivers—Tesla’s Model S, the Chevy Volt, and the Nissan Leaf. In the early years of EV adoption, it’s fair to say that higher income households were earlier to the market, as all three of those models still cost over $30,000 after the $7,500 federal tax credit. The video also tries to pass off a “profile” of Tesla Model S drivers—mostly male, middle aged, and in a higher income bracket—as representative of all EV drivers. 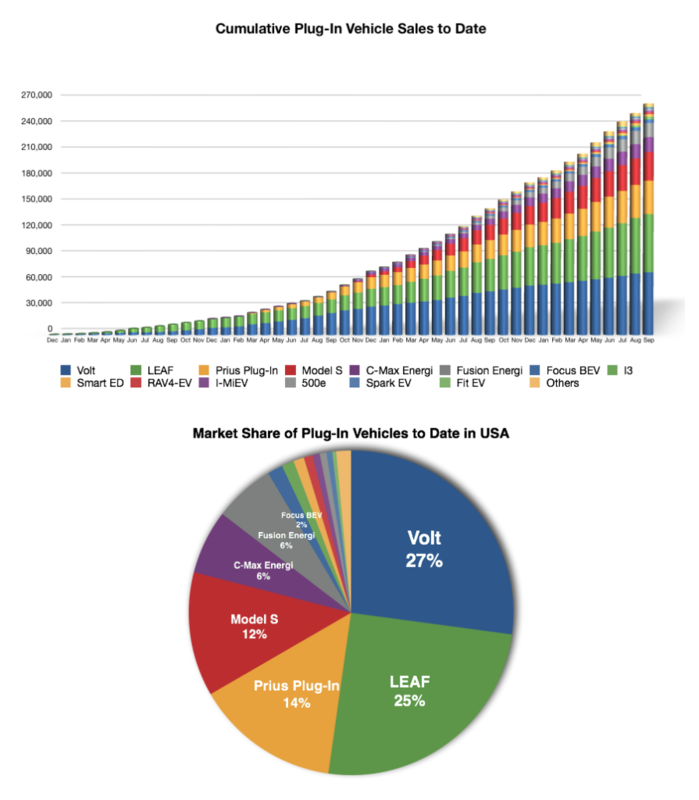 In reality, Model S sales only represent 12 percent of all EVs sold to date in this current generation of electric cars that started in 2010. Another important reality to keep in mind when considering the Fueling U.S. Forward argument that this is a “massive wealth transfer” is how small the EV tax credit program is compared to fossil fuel subsidies, and oil subsidies in particular. However, according to research by the Center for American Progress, nine specific tax provisions that encourage the discovery and extraction of oil and gas benefit producers to the tune of $3.8 billion every year. Some might call that a massive wealth transfer from American taxpayers to some of the world’s most profitable corporations. And that $3.8 billion annually only includes tax loopholes for extraction, and doesn’t account for any of the direct or indirect subsidies for the transportation and distribution of oil, nor for refineries. With this second video, it seems increasingly clear that Fueling U.S. Forward has squarely pivoted from the oil and gas cheerleading that defined its first phase to deliberate attacks on electric vehicles and clean energy. This is, of course, what KochvsClean has anticipated all along, having tracked the campaign from rumored plans to its launch at the Red State Gathering to the current EV antagonism. KochvsClean will continue to track Fueling U.S. Forward and other projects affiliated with the Koch network as they wage a PR battle against electric cars and other clean energy solutions.